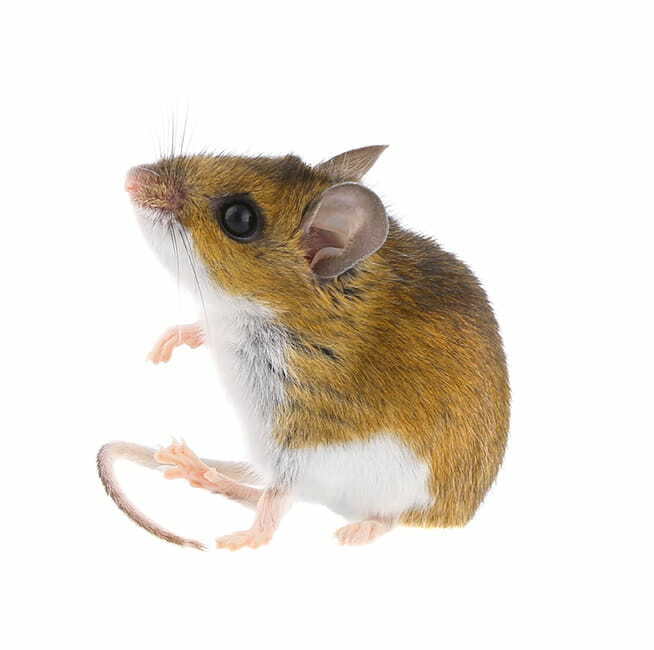 Deer mice are structural pests, as they gnaw through wood and electrical wires causing terrible damage to properties. 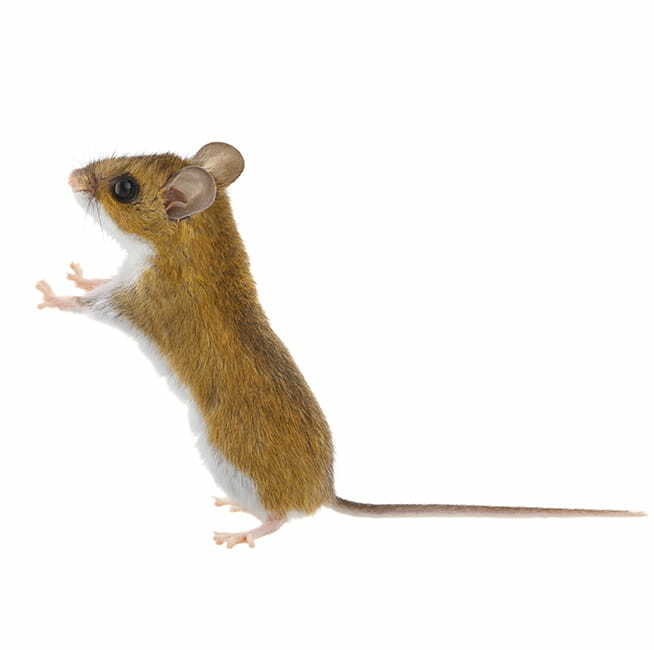 Deer mice are also known carriers for hantavirus, a virus that affects the respiratory system of humans. Deer mice have a brownish upper, white feet and underside, and a bi-coloured tail. Their eyes and ears are larger than those of house mice and are considered more “attractive”. They are structural pests as well as known carriers for hantavirus. Deer mice have a brownish upper, white feet and underside, and a bi-coloured tail. They are commonly mistaken for other species of mice, but deer mice have a definite separation between the white underside and brownish upper. Their eyes and ears are larger than those of house mice and are considered more “attractive”. Deer mice nest in safe locations close to food. They prefer to eat seeds, but they will also eat insects, slugs, snails, spiders and millipedes. In properties, nests are built in basements, attics, storage areas, wall voids, sill plates, structural corners and other tight spaces which offer shelter. In the wild, nests are built around fence posts, in tree hollows, woodpiles, old and abandoned bird or squirrel nests and beneath decks. The reproduction of deer mice is determined by the availability of food. When food is abundant, their reproduction rate can become quite high. If food is scarce, so is the reproduction rate. A female deer mouse will have two to four litters per year, averaging three to five young. Deer mice will reach sexual maturity at seven to eight weeks. 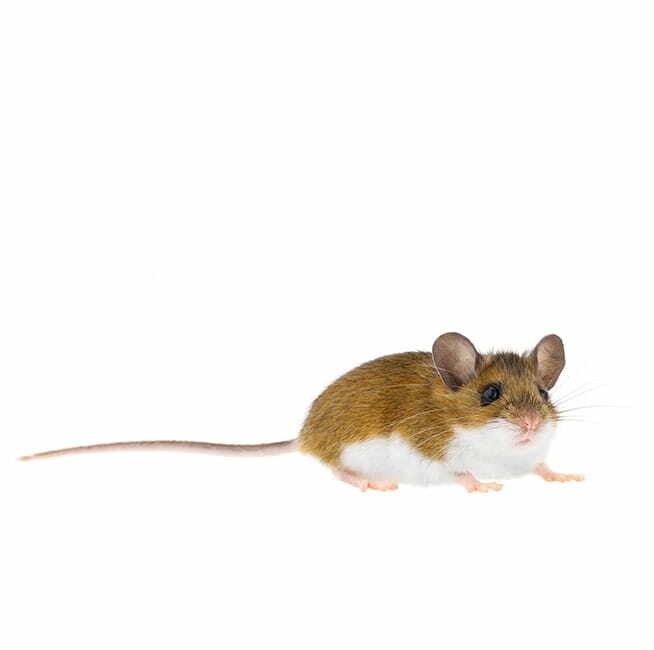 In properties, deer mice can live for as long as eight years but in the wild, due to lack of food, predation and disease, they usually live up to two years. How long does a deer mouse live, and how often does it reproduce? In properties, deer mice can live as long as eight years but in the wild, due to lack of food, predation and disease, they usually live up to two years. The reproduction of deer mice is determined by the availability of food. When food is abundant, their reproduction rate can become quite high. If food is scarce, so is the reproduction rate. A female deer mouse will have two to four litters per year, averaging three to five young. Young house mice will reach sexual maturity at seven to eight weeks. How does a deer mouse enter my home? The deer mouse will enter a home or other property through any opening greater than 1/4 inch. Openings may be below/at ground level, or on roofs via chimneys and roof vents. They are capable of climbing trees, bricks, downspouts and they have tremendous jumping abilities. How do I know if I have a deer mouse infestation? If you live in a rural or semi-rural area, near a field, forest or other undeveloped area, you are more likely to have a deer mouse infestation. They tend to be quite noisy as they will drum their paws at a speed so great that they sound like buzzing insects or humming electrical wires. They will also build nests and stockpile food (mostly seeds and nuts) in out-of-the-way areas. These are strong indicators of a deer mouse infestation. Chewing damage and droppings are not good indicators as all mice tend to do this. Where will a deer mouse build its nest? Deer mice nest in safe locations close to food. In properties, nests are built in basements, attics, storage areas, wall voids, sill plates, structural corners and other tight spaces which offer shelter. What does a deer mouse nest look like? The deer mouse will build its nest from almost any material they can find. In properties, nests are built with paper, string, cloth, insulation or any other materials which may be found inside the property. In the wild, nests are built with grass and small sticks in a dome shape with only one entrance. In both environments, they can easily be mistaken as small piles. If I see many nests, do I have many deer mice? No. One deer mouse will have several nests. They have a habit of fouling their own nest, and consequently, are forced to leave and build or find another. What can I do to prevent deer mice from entering my home? To control or prevent infestation of deer mice, sealing up potential entry points, removal of food sources, rubbish, weeds within surrounding area, and other potential nesting areas are essential. Doors should also be equipped with tight fitting door sweeps or weather-stripping and kept closed during their active time (early evening to pre-dawn).